At the Muttrah fish docks, fishermen unload the day’s catch to sell at the adjacent Muttrah Fish market. Many visitors to Muscat seeking an authentic experience, will rise with the sun and spend an hour or so browsing the stalls here. It’s an opportunity to observe an important local economy at work and to mingle with friendly locals. With a great variety of fish and sea food, it’s visually interesting, if a bit smelly. 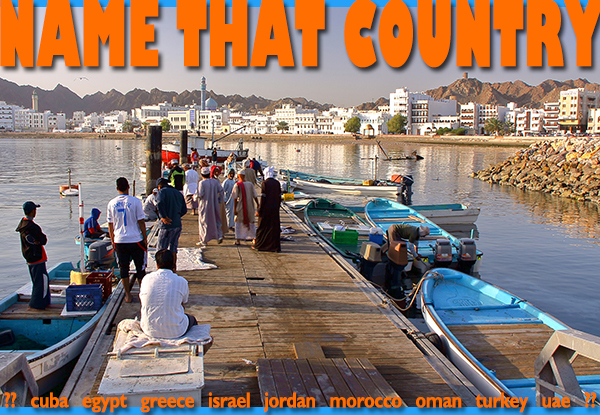 This entry was posted in name that country quiz, Oman and tagged Muscat, muttrah fish market, Oman, Oman tours by yalla2013. Bookmark the permalink.